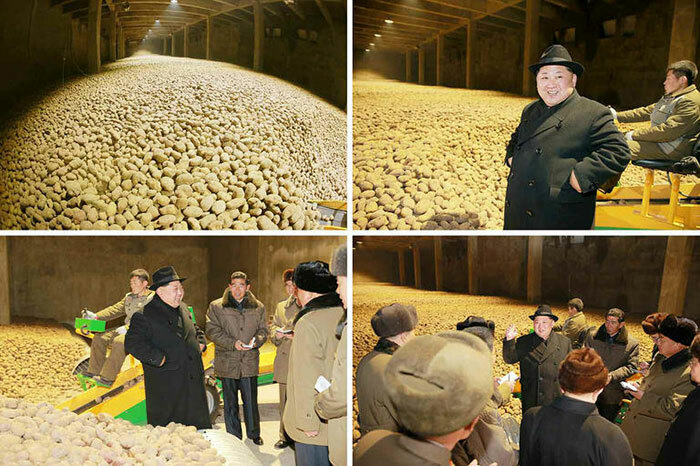 North Korean leader Kim Jong-un toured a powdered potato factory in Ryanggang Province near the border with China on Wednesday, well away from the state-of-the-art U.S. fighter jets that are buzzing his southern border. Normally Kim stays out of sight during massive U.S.-South Korea military drills, preferably cooped up in a bunker. One source said, "Ryanggang Province and neighboring Chagang Province have escape routes to China as well as deep tunnels dug under mountains that can provide refuge in case of a surprise bombing." 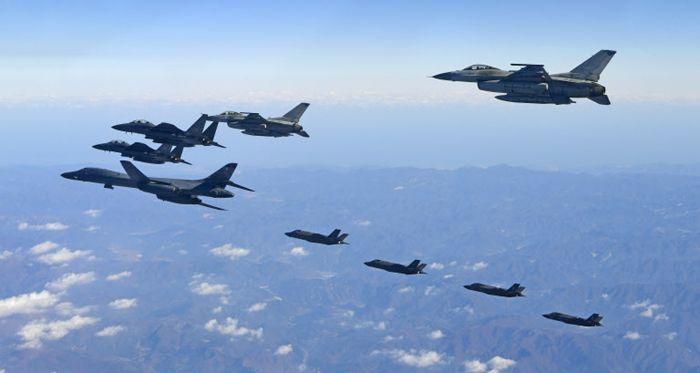 The U.S. deployed B-1B Lancer strategic bombers to take part in the drill. 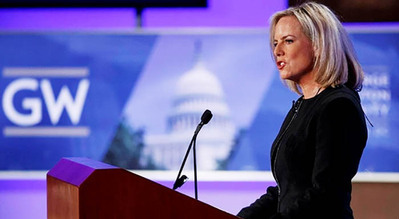 The Joint Chiefs of Staff here said Wednesday that South Korean F-15K and F-16 fighter jets took part together with U.S. stealth fighters as well as a B-1B bomber that flew in from Anderson Air Force Base in Guam. The exercises involving 230 aircraft end Friday.